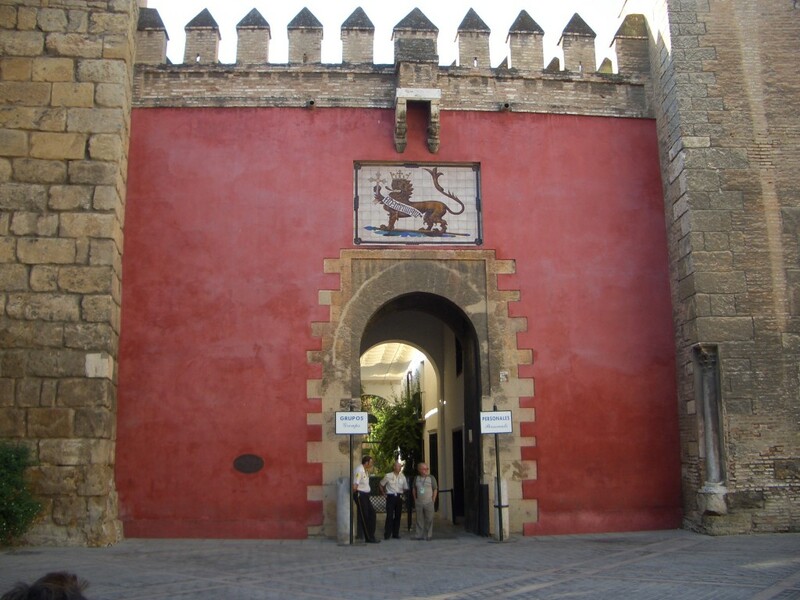 Rock of Gibraltar and Seville, Spain – No Monkeying Around! 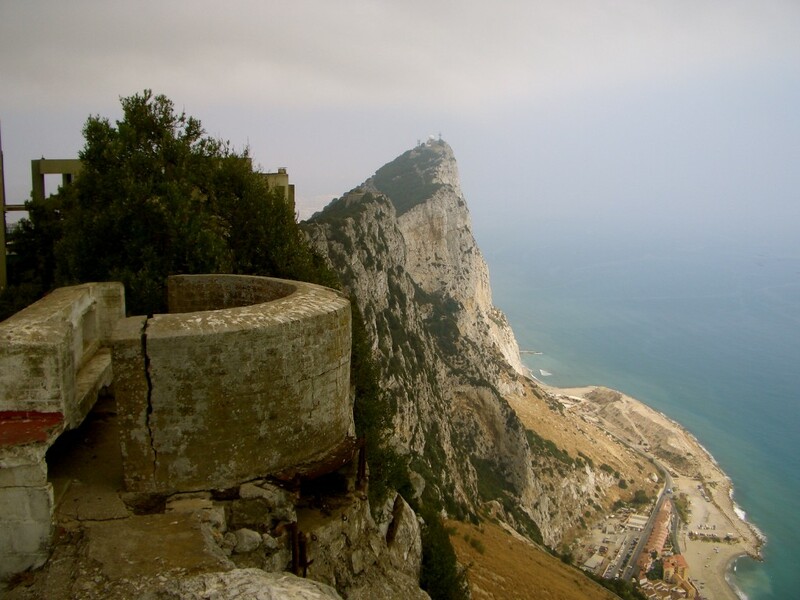 Rock of Gibraltar is a limestone peninsula and mountainous rock that jets out of the end of the British territory at the southwestern tip of Europe. It is almost 1500 feet high and borders Spain and the United Kingdom. It was captured from the Spanish in 1704 during the War of the Spanish Succession. Gibraltar and its famous Rock were ceded to the British “in perpetuity” in the Treaty of Utrecht in 1713. Today it is known as the last colony in Europe. 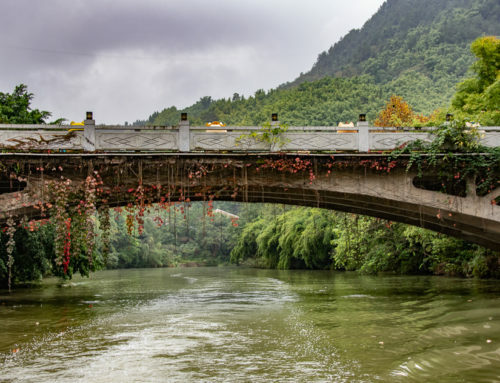 Therefore, it piques the interests of many tourists and visitors. 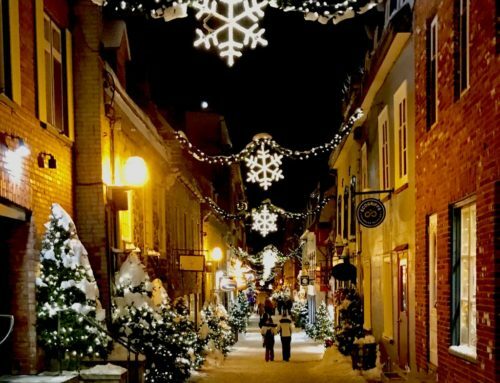 But should you visit? Why? Because they have monkeys of course! You will have to cross the Spanish border in order to get into Gibraltar. When you arrive at the border on the Spanish side, I would advise you to leave your car in the parking lot and cross by foot. It is much easier and faster to cross the border on foot, especially if you are just going for the day. As an American, you do not need a visa in order to visit Gibraltar. However, if you are not American or an EU citizen, you should check the page Visit Gibraltar website to determine if a visa is needed for you. With roughly 30,000 Gibraltarians living there, you will use the English language and the British currency (pounds) while you are there! But you can use Euros to pay for the parking of the car! To get to the top of the rock of Gibraltar, I would suggest to buy tickets and take the cable car ride up and not the buses. It is only a 6-minute ride to the top and there is plenty of time to take in the breathtaking view. ✦ What is there to do in Gibraltar? 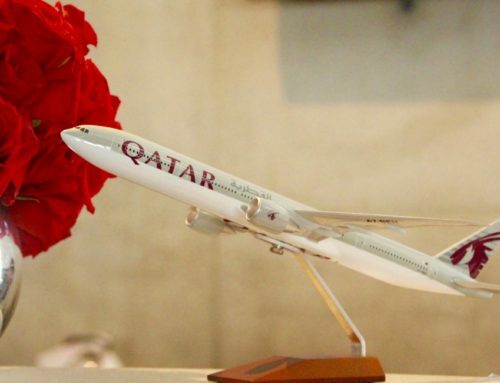 They have everything from alcohol, jewelry to cosmetics and clothes. You will even see the distinctive red phone booths like they have in London while you ‘re walking around! One of the coolest (and most famous) airports in the world, the Gibraltar Airport is one for the books, as it crosses 4 lanes of traffic. The cars traveling along Winston Churchill Avenue must stop for planes several times a day. While not known for its beaches, Gibraltar has six beaches! Who knew? These can be split into the ones that are sandy (on the Eastern side of the strait) and the ones that are rockier (located on the Western side of the strait of Gibraltar). So bring along your swimsuit if you want a beach day. Having over 1 million visitors per year, St. Michael’s Cave is the largest cave in Gibraltar. It sits high up in a nature reserve and dates back to the time period to 45 AD! And then there are those Gibraltar Monkeys! There are roughly two to three hundred wild macaques monkeys on the rock. These monkeys are the only wild monkey population on the European continent. The locals refer to them as “monos” (monkey in Spanish). The Gibraltar monkey’s population had been present near Rock of Gibraltar long before Gibraltar was captured by the British in 1704. They were most likely brought here by the Moors who had them as pets. Gibraltar is not very well connected to Seville, Spain, which is why we rented a car. There are no trains and the bus takes you to La Linea de la Concepcion, the town on the other side of the border. It is not possible to visit Gibraltar in a day by public transport, unfortunately. So be prepared before you go and rent a car! Here is the route we took from Lisbon, Portugal to Seville, Spain, then to the Rock of Gibraltar, United Kingdom, and finally, to Marbella, Spain. 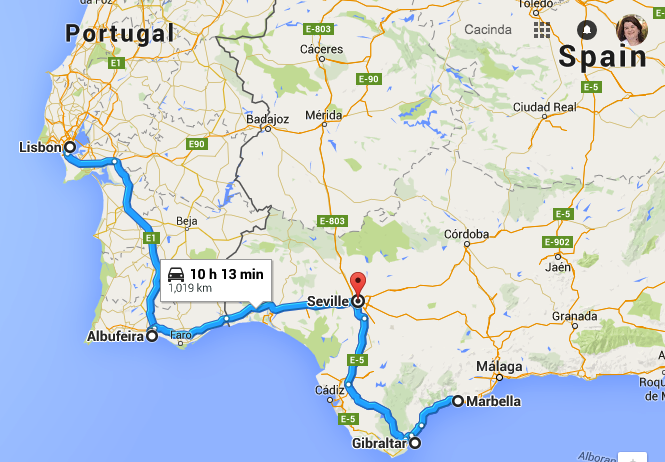 The 125-mile drive from Seville to Gibraltar takes about 2 1/4 hours. Take the AP-4 from Seville and follows the signs towards Jerez on the A-381. This will lead you into Gibraltar. Be aware that some of these roads are toll roads, so have your coins ready. 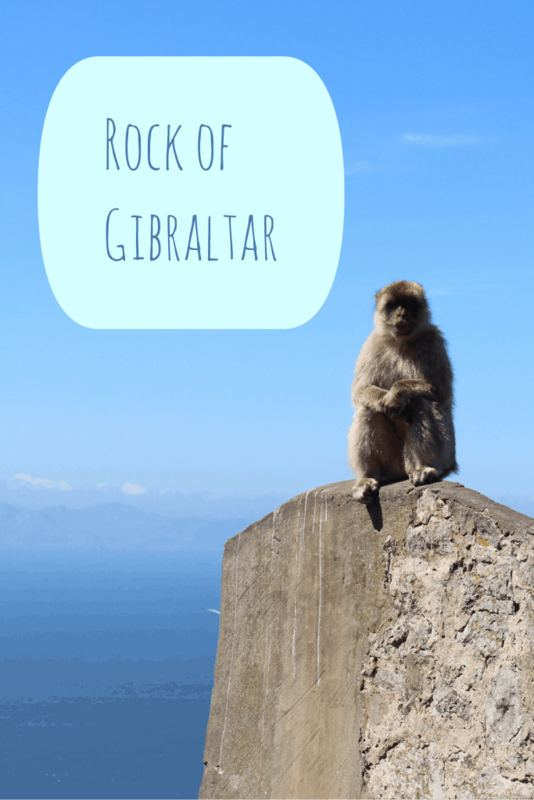 ✦ Rock of Gibraltar – Don’t Monkey Around! Travel memory: I have been wanting to tell this story for quite some time, but out of respect for the Gibraltar monkey, I have waited! Our kids were young and rambunctious and they loved seeing the macaque monkeys that were roaming around the attraction known as Rock of Gibraltar. As we begin the hike up the rock, we were told that the Rock of Gibraltar has about two to three hundred free-roaming macaques monkeys running around. Of course, these Gibraltar monkeys grabbed the kiddo’s attention immediately and we stopped and watched them along the way up. 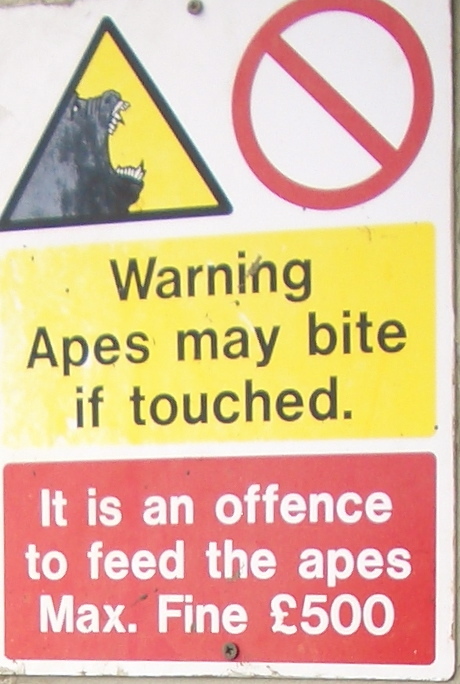 ✦ Rock of Gibraltar – Don’t take a photo of a Monkey! My husband decided he wanted to take a photo and asked our son to “get closer to the monkey” so he could get the two of them in the photograph. Our innocent eight-year-old son stood beside the monkey and then attempted to put his arm around this Gibraltar monkey like you do when you pose with friends for a photo! Yikes! Well, you can guess what happened next! The monkey bit him on the forearm: blood and teeth marks and crying all occurred! 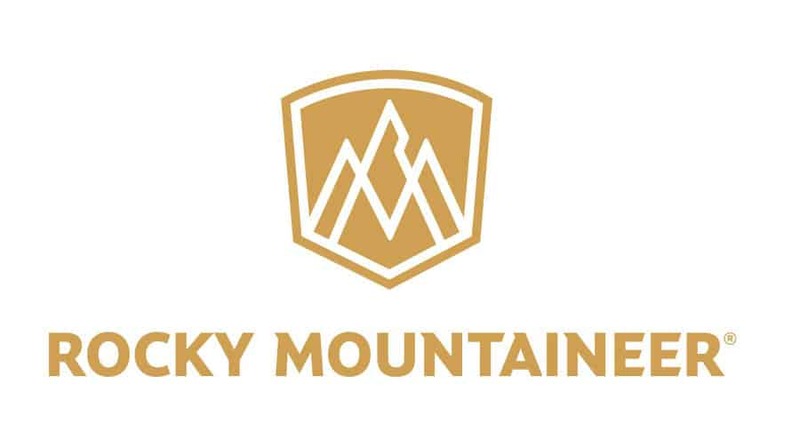 ✦ Rock of Gibraltar – And the Monkey Bite! Panic ensues from my poor little Christian. And quite frankly, we were all shocked as well! He’s crying and Momma is grabbing his arm to see what damage has been done. As parents, we glanced at each other in silent disbelief. We looked around and there was no security or place to take him, so we quickly ran into the empty cafe. This is where we abruptly told the food worker employee what had happened. She looked at us and smiled and said she had the perfect solution. Then she went into the back room and brought out an alcohol wipe and a bandage. She wiped his bite mark and said “Ahh, he will be fine! No worries, the monkeys at the Rock of Gibraltar don’t have any diseases!” She was sweet as pie and thank goodness she was there to help calm him (and us) down. As we sat down at the sparse cafe at the top of the Rock of Gibraltar, we contemplated our next move. We watched him closely, as we were worried that we should get him to the hospital for a rabies shot. Since there was no indication that this Gibraltar monkey was rabid and because Christian had just invaded his space, we made a decision to watch our son closely and go on with the trip. In the end, he was fine! 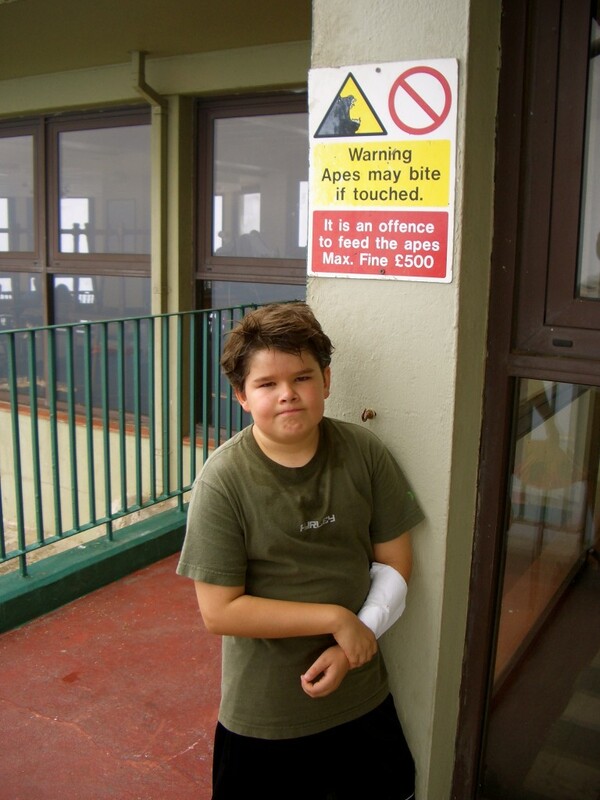 And as they say, our son was as “Solid as the Rock of Gibraltar”! For years, he did not want us to even mention this story, but later we thought it was funny, although he didn’t. Eventually, I thought this story could be told, as now we think it is a cool story to tell. He is one of the few who has this story to tell. Him and Jason Biggs of American Pie, since he got bit, too: They went bananas! 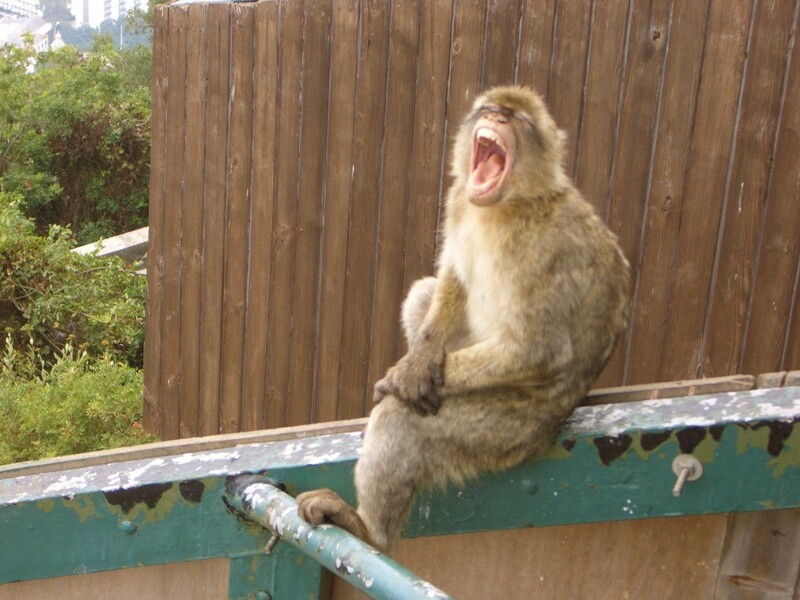 So there you have it, that is our Gibraltar Monkey and Rock of Gibraltar story and we are sticking to it! 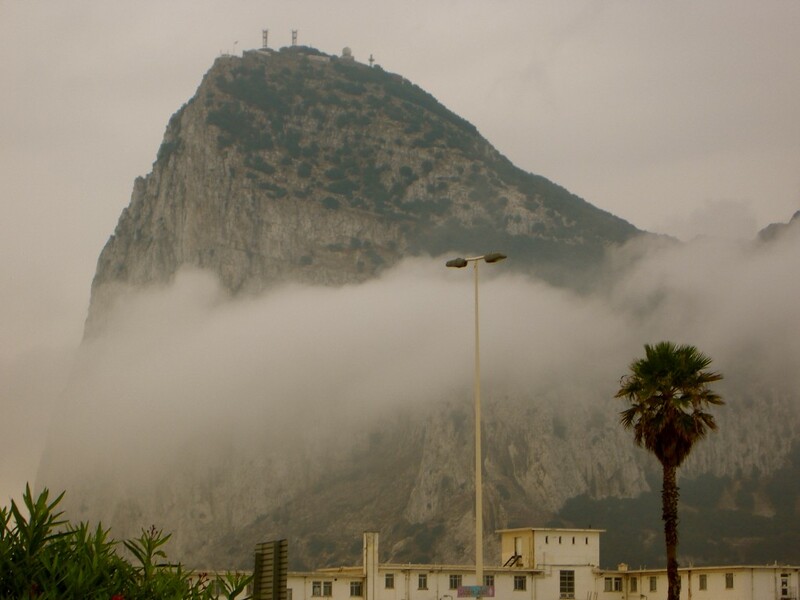 Ok, so this place is kind of odd and sometimes weird things happen here (as mentioned above), so I have gathered up a few odd facts about the Rock of Gibraltar you may not know! John Lennon and Yoko Ono got married there in 1969! See that is odd! 12% of the people who live here are employed by an online gaming industry! 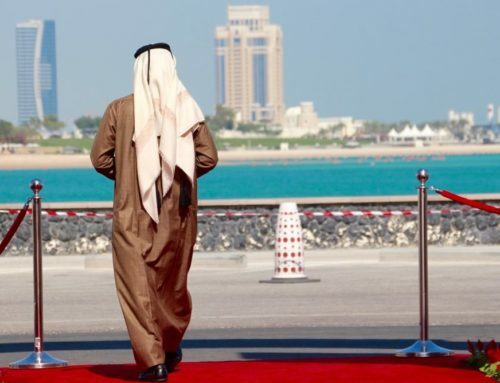 Gaming is a large part of the economy due to its lenient tax laws. Weird! It is a birdwatcher’s paradise! Now, who would have thought that? Gibraltar’s busiest road, Winston Churchill Avenue intersects the airport’s only runway and must be closed every time a plane lands or departs! Ha! English is the national language, however, it has its own dialect, called Llanito. It is a mix of Andalusian Spanish and British English, with some Ligurian, Maltese, and Portuguese words thrown in. Crazy! Gibraltar holds a strategically important position in the world since it separates Europe from Africa at the entrance to the Mediterranean Sea from the Atlantic Ocean. There is literally only 9 miles of water between Africa and Europe. A half-hour ferry ride can put you right on the shores of Tangiers, Morocco. Super cool! Upon arrival, I knew this was the city for me! I loved it! 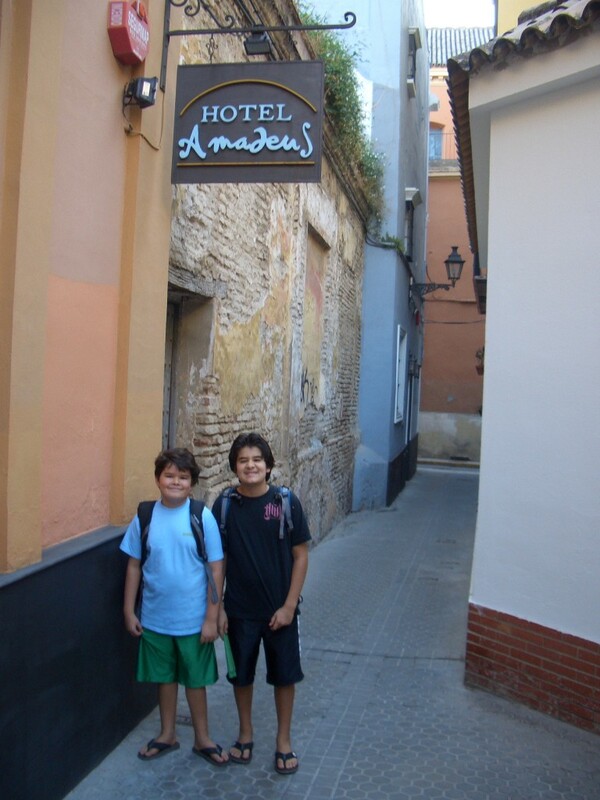 This trip to the Rock of Gibraltar and Seville, Spain was when the kids were young as we were an adventurous couple back then, vacationing every six weeks of our lives. Oh, how I would love to recreate this vacation. 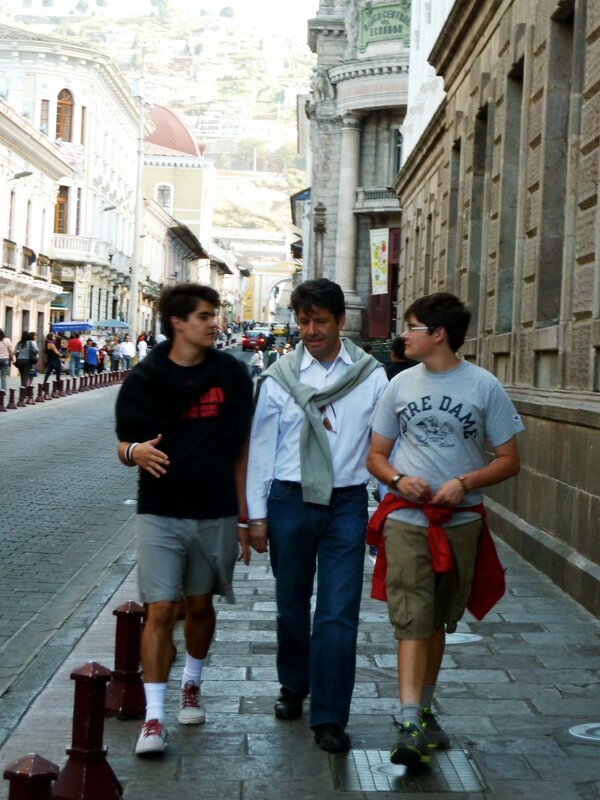 I realize that no longer will the family vacations be the same, but one day I would love to take these two boys back to Europe and do this same trip again! Slowly, but surely, we have lost our children to the world and became empty nesters. But if there was one wish, it would be to go just one more time to Seville and stay a week. We could use this stay as our home base and explore a few of the regions that we only got a glimpse of the last time we were here. Especially in Cadiz, which is only about an hour and 20 minutes away, and then also Malaga and Granada. Places we wanted to visit back then, but just didn’t have the time. Want more information about Spain? I know, such a sweet photo of a boy distraught! We love this story as a family, but it took many years to tell! ha! 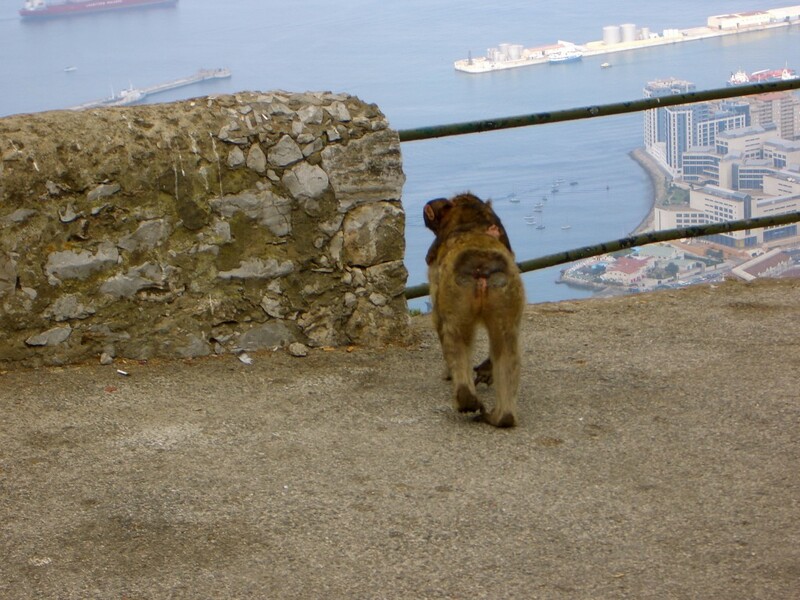 Gibraltar is so high on my list – mainly for the macaques. Your poor son, I can’t believe he got bitten. I know! Can you believe it? Obviously we were shocked too! But it is a great story to tell at family gatherings now! Yes, we were lucky nothing happened! He still, to this day, is not a fan of monkeys, which is understandable! So true! We will never forget our trip to the Gib! 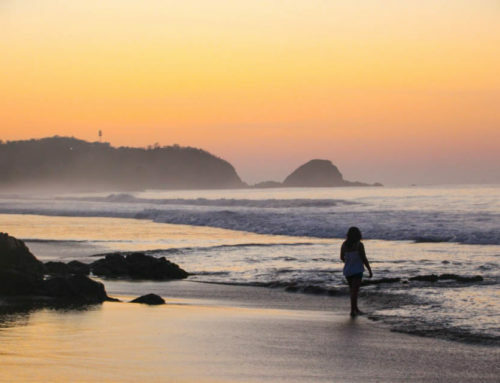 Yes, traveling with kids is an awesome thing to do for them! We do need one last good trip to solidify the deal, to make sure they enjoy every minute of it on Mom and Dad’s dime! So cool your son became a Travel Blogger!! imagine that?! Looks like an excellent choice to me. It’s nice when a place really pulls at our heart strings like that. 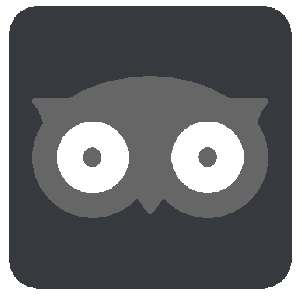 Good luck with the contest! Thanks! Would love to have a redo of that trip!